This film was on Television last week here in England – and it was just as good as it always is. My wife saw it for the first time and really liked it. 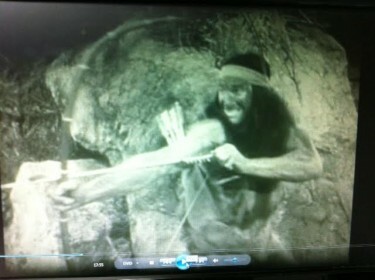 Below are some action shots from the film in stunning Technicolor. I have seen this film featured a number of times in Film Annuals and periodicals of the time, and I recently purchased it on DVD. Looks to be a good film. 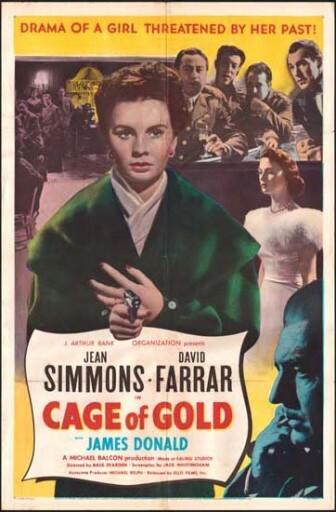 I like Jean Simmons and also James Donald – remember him in The Great Escape. He was such a good understated actor. What a wonderful story this is – about a village in Scotland that only comes to life for one day in a hundred years. Two travellers from the USA come across this village – the village of BRIGADOON – and one of the men Gene Kelly falls in love with one of the villagers Cyd Charisse but he soon realises that she will never be able to leave the village and so he must stay there forever. Brigadoon was a Broadway musical that ran for over 12,000 performances both in the United States and England. In 1954 it was made into a movie musical starring Gene Kelly, Van Johnson, Cyd Charisse, and Virginia Bosler. 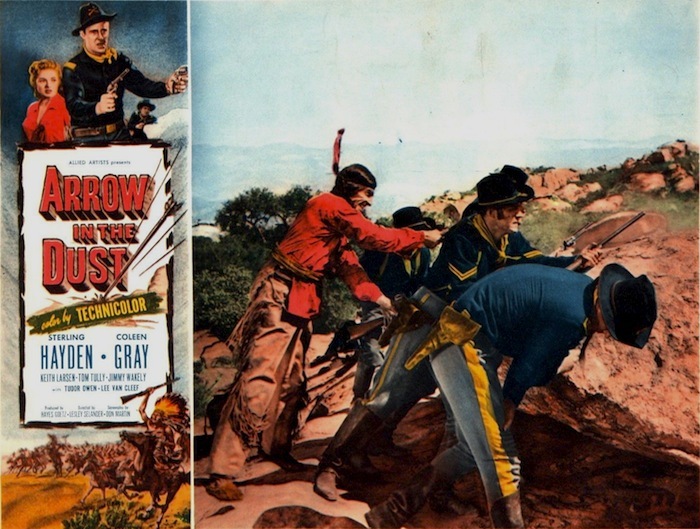 Brigadoon was about two New York pals Tommy Albright (Gene Kelly) and Jeff Douglas (Van Johnson) who went to Scotland on a hunting trip. During the trip they got lost and came upon Brigadoon which suddenly appeared through the Scotland fog. 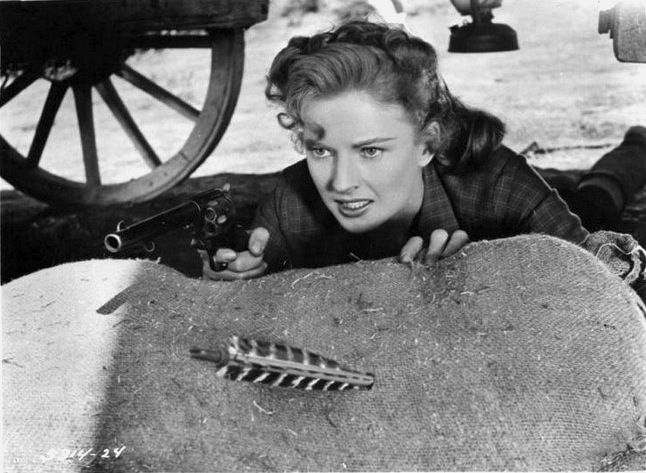 Of course eventually Albright decides to return to Brigadoon to be with Fiona – the girl he loves. As far as musicals go what made Brigadoon interesting was that the storyline was unique. 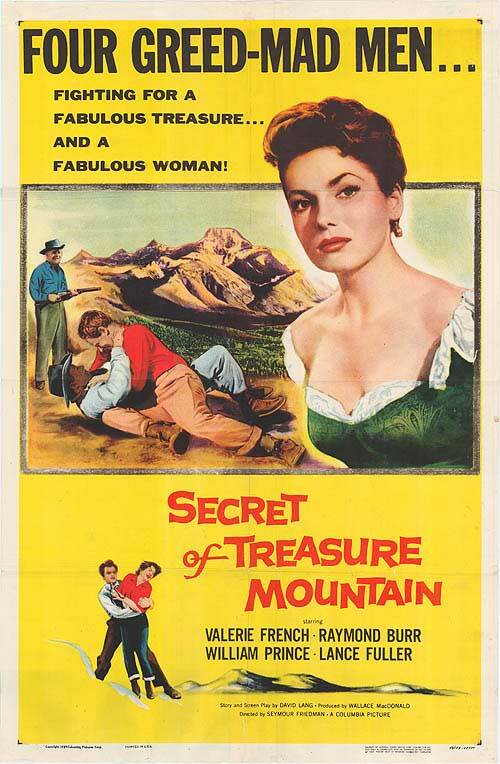 Also MGM decided to make the film in the studios which meant enormous studio sets of the Scottish Highlands and in Colour and Cinemascope Scotland looked magnificent – as it always does !!! I remember working in the Lincolnshire town of Gainsborough when in 1968 the local Operatic Society staged this musical - at what was a theatre / cinema in the town centre. 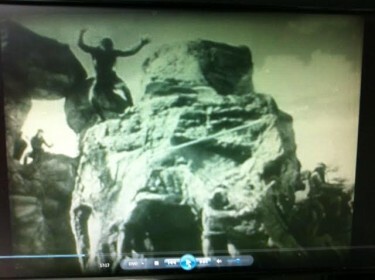 Many of the girls who worked in the offices were in that production and it proved very popular. It is not one of the best known musicals BUT it is one of the best with a great storyline. 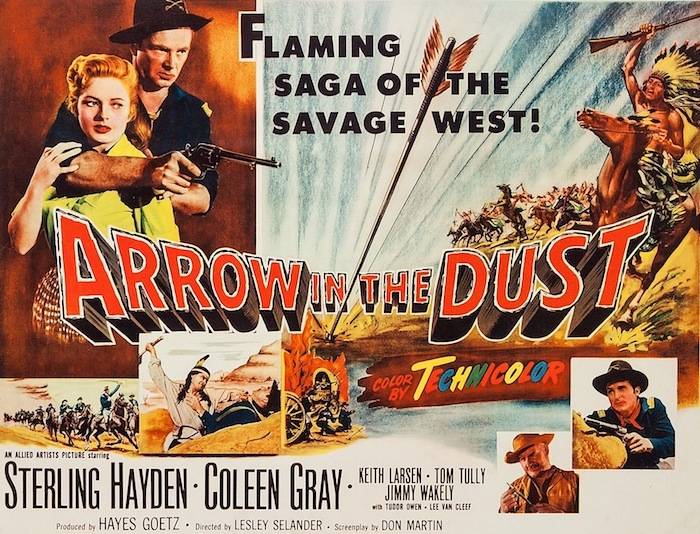 With Arrow In The Dust (1954), Allied Artists seems to have splashed a little more money and has both Sterling Hayden and Coleen Gray in the cas to add a bit more star power than usual — and we have glorious Technicolor on the then-new wide screen. However this was made not long after Monogram Pictures was swallowed up by Allied Artists. 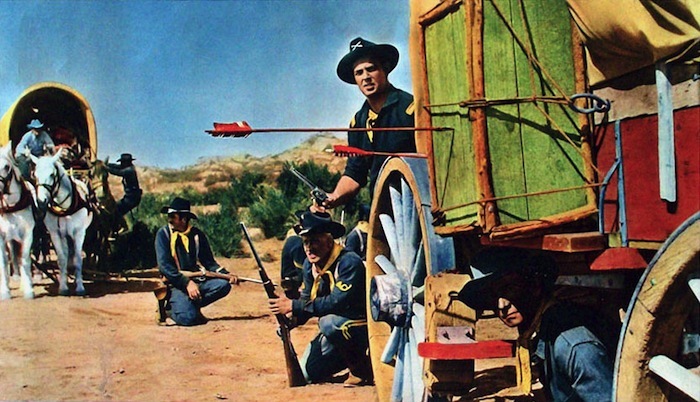 Sterling Hayden plays Bart Laish, a cavalry deserter who poses as an officer to lead a wagon train through Indian territory and they certainly do need his help — the Indians attack the settlers and soldiers again and again. Working with a crack team of stuntmen and a sizable amount of stock footage, Lesley Selander something that as a Director he was good at.. . Hayden and Gray are as reliable as ever, rounding out their characters very well. Tom Tully, as an old scout, is also very good. Arrow In The Dust is not an epic by any means but it looks well in this new DVD from Warner Archive. Sterling Hayden’s performance really boosts Arrow In The Dust, and Lesley Selander’s command of action and pacing keep things moving toward a very satisfying conclusion. 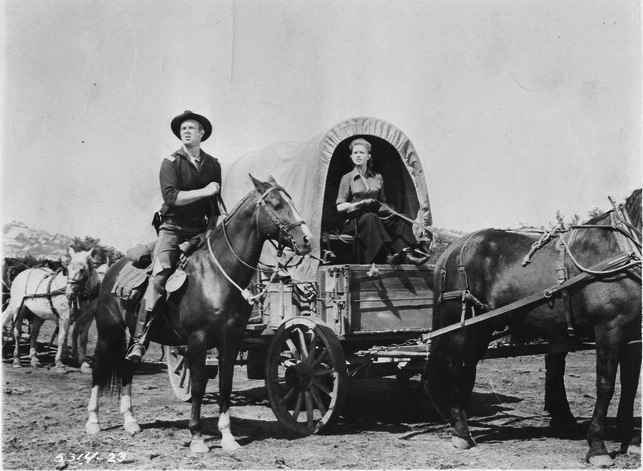 This is a solid, if slightly cheap, mid-budget Western that’s certainly worth seeing. One other snippet – Sheb Woolley who had an un-credited part in this film later went on the have a huge hit single with ‘Purple People Eater’on both sides of the Atlantic. 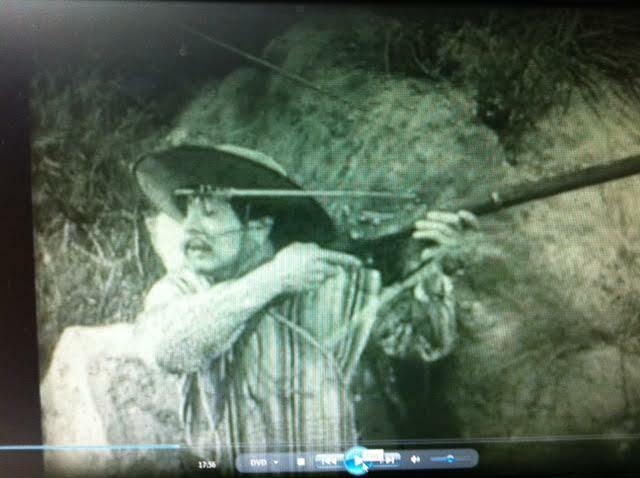 We have now acquired a film copy of this rare B movie Western. I well remember seeing this film as a youngster and somehow the plot has always stayed with me – and on seeing it again last evening – the main elements that had stuck in my mind were there. I had remembered a search for the Braganza crosses – small metal crosses – that if found would lead to the famous Braganza treasure in Treasure Mountain. I have looked for the name Braganza before – and not been able to find it – and thought I had this wrong but I was pretty sure I had it right – and so it proved to be the case. The production values of the film are not top class by any means but the flashback sequence to the man who had discovered the treasure 200 years earlier when the Indians attacked and killed the searchers and Braganza himself in the cave was very well done – these scenes were pinched for an earlier film Lust for Gold with Glenn Ford. It has taken a long time searching for this film but I now have it and have seen it again. 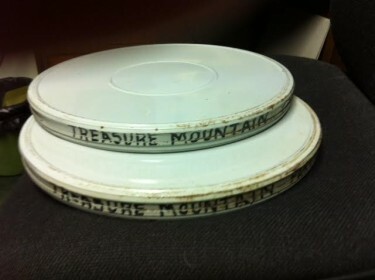 I have very recently seen Lust for Gold and there are elements in it that parallel another – possibly later and cheaper – film that I have tried to trace over the years. 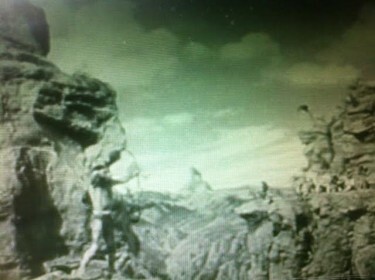 I remember seeing a film in around 1956 or 57 which could have been made earlier and I think it was shown as a second feature in which there was a search for the Braganza gold and various clues by way of a number of Braganza crosses that had to be found which would eventually lead to the treasure. 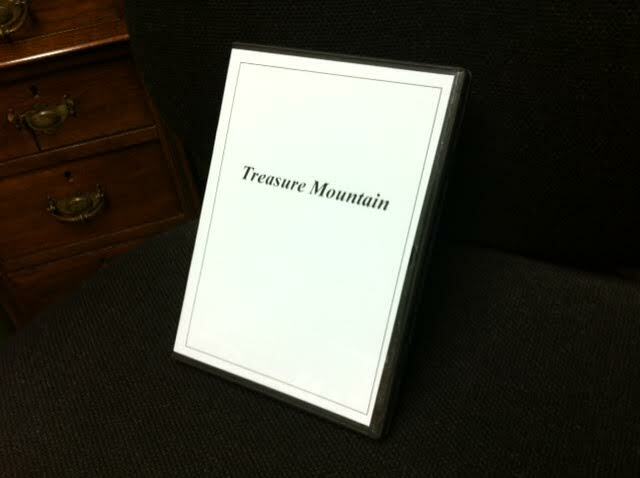 The final one was found after a fight between the people searching – when one of them by accidently sees his shadow fall on the point of the treasure across a small rocky valley – exactly as happens in Lust for Gold. On discovering the treasure they were attacked by Indians (or Incas – it could have been Inca treasure) who fired arrows from all directions – almost identical to the sequence in Lust for Gold. Does anyone know of the film I mention. As I say it could have been Inca treasure that was being searched for. 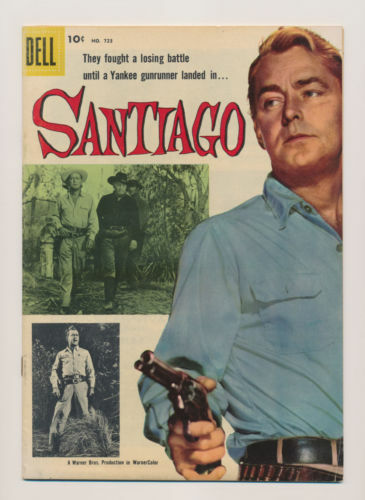 Santiago – 1956 with Alan Ladd. Alan Ladd shows Jo-Ann Cox of Ballwin, Missouri around the set of “Santiago.” This young lady had won a film magazine competition and was taken around the film studios in Hollywood and as well as meeting Alan Ladd , she also remembers Tab Hunter well according to the press article. On a holiday in California a few years ago, we visited the Warner Brothers Studios for a tour which was really good. On the outside tour the guide took us through mature trees and foliage and this quite small area was called the Jungle Set and it had been widely used over the years but had originally been built for the Alan Ladd film Santiago in 1956. This facility at Warner Brothers is still very much in use. Alan Ladd was maybe not at his best here, but the real value is in the superb cast of supporting character actors, including Lloyd Nolan, Paul Fix, Chill Wills and Royal Dano, among others. 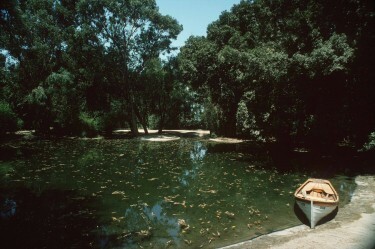 “Santiago” is set in Cuba just before the Spanish-American War. Alan Ladd and Lloyd Nolan are competing gunrunners trying to sell weapons to the Cuban revolutionaries. Lloyd Nolan is the villain while Alan Ladd of course is the good one . His guide is the beautiful rebel Rossana Podesta, who is fiery and noble.The rest of the cast are very competent supporting actors and play their roles well. There is one surprise in the ending but otherwise it’s predictable. It’s a competent studio production for the period, with enough detail to make it credible. It’s not a great film, but it is good entertainment, with a beautiful girl.